Welcome to A-Plan, Tunbridge Wells, your nearest branch. 103 Mount Pleasant Road, Tunbridge Wells, TN1 1QG mile away. 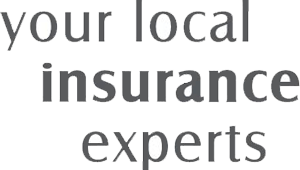 As your local insurance broker, A-Plan Tunbridge Wells has been serving clients in your area since 2013. We have specialist facilities for private car, home & contents and commercial vehicle insurance. As one of A-Plans newer branches (we only opened in February 2013) it has been great to take all the experience we've acquired in other branches and adapt it for the local community of Tunbridge Wells. We have had some great feedback from those that have become our early clients and we have already started to form some great relationships. Whether you are after car, van or home insurance we can help. Not only could we save you money but we are also finding that some people don't have the cover that they thought they did, which can cause problems if you have to make a claim. Pop in and see us or give us a call and see what we can do for you. Your Tunbridge Wells Branch Manager. Get the right cover at a great price! Put our local team to the test to see how we can help you.